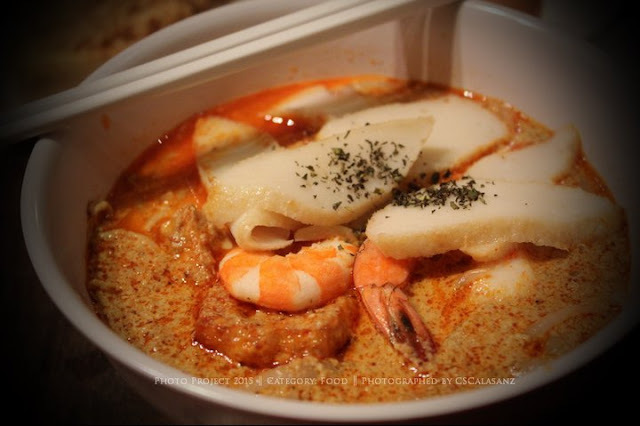 i love laksa Che, though the authentic one is I think too spicy for me, but I love the modified one :) your photo is so inviting. wow! looks yummy...wants some now lol! Looks yummy! Haven't tried this spicy noodle soup though. Super bihira lang akong kumain ng spicy foods. I remember my Nanay telling me "Ikaw lang ata ang Bikolanang takot sa maanghang" Lol! btwn here mine I hope you can take a look and visit my 2nd entry and my blog site too… I was new on this. Cheer’s to us happy weekend and enjoy! looks tasty! hubby loves laksa, and last weekend, i finally find courage to order a bowl of it and guess what, was able to finished it and i love it...i will have it again if got the chance! i love laksa---it's a hearty, tasty dish.